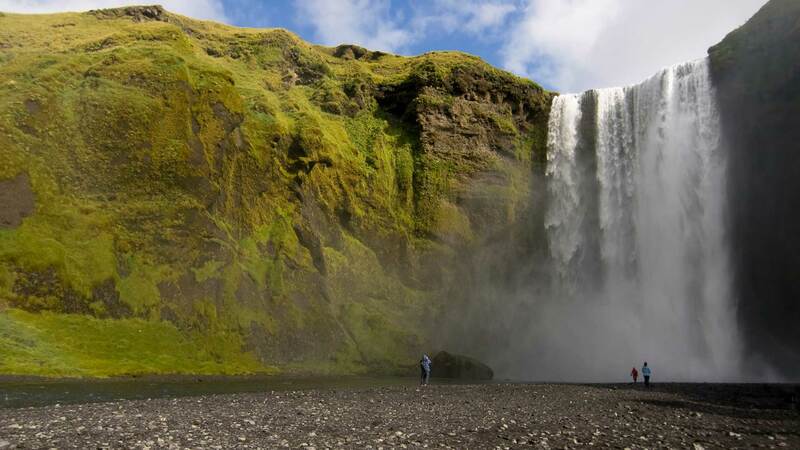 This is one of our 7-day tours of Iceland that takes in all the highlights. Joining a small group of travellers, you'll be driven around the Ring Road to see many of the country's top sights, including hot springs, glaciers, waterfalls, charming fishing villages, icebergs and more. Your dedicated guide does the driving while you set back and enjoy the sights. 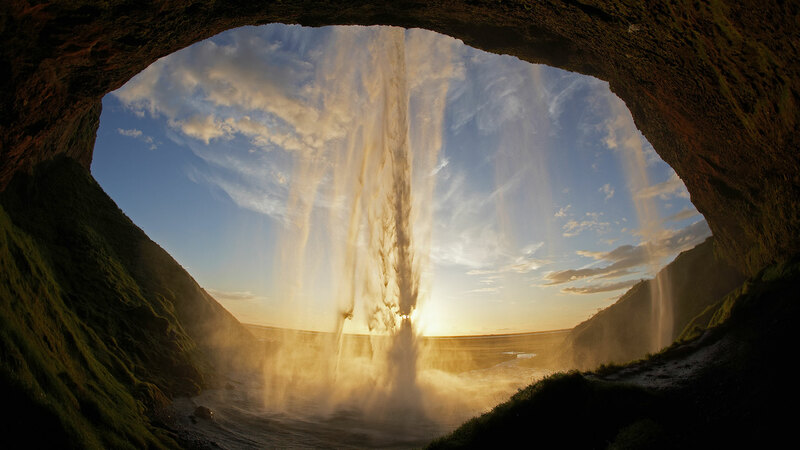 The days are long and action packed, but after an early start and a good breakfast every morning, you will be ready to explore Iceland’s natural wonders. On arrival at Keflavik International Airport, you will be welcomed by a driver and transferred to your accommodation in Reykjavík. After settling in, take the opportunity to explore the vibrant city centre at you own pace. The main downtown street, Laugavegur, offers a variety of shops, galleries, restaurants, coffee houses and bars to suit all tastes—all within an easy walk. At 18:00, you will meet your friendly and knowledgeable guide, along with your fellow travellers. This is the time to familiarise yourself with the tour agenda and ask your guide questions about the trip. Spend the rest of the evening at your leisure. Spend the night at Storm Hotel or similar. Start your morning early and get ready for a full day of highlights. This morning you will head to Þingvellir, a national park which has been nominated as a UNESCO world heritage site. 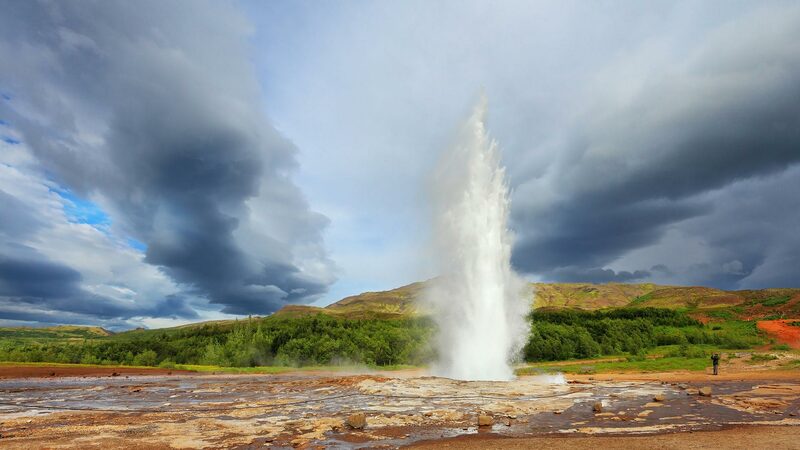 Next, we will visit the great Geysir area with its spouting geysers and colourful hot springs. 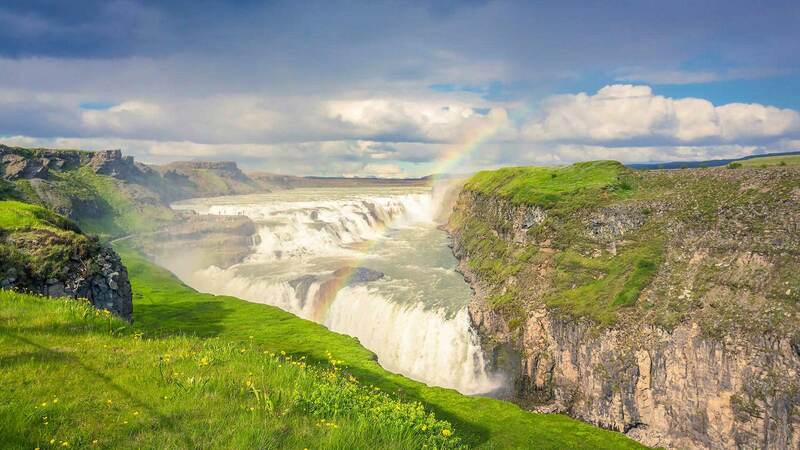 The tour will continue to Gullfoss, “The Golden Waterfall”, where we will see white water thrash and tumble down the two-tiers, falling metres below. 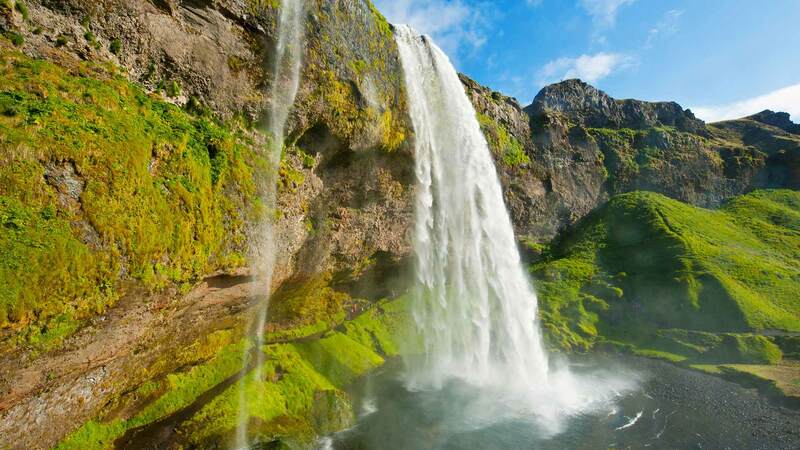 Then we continue our drive to the picturesque waterfalls along the south coast, with a stop at the fairytale-like Seljalandsfoss waterfall, where you can walk right behind the misty cascade. 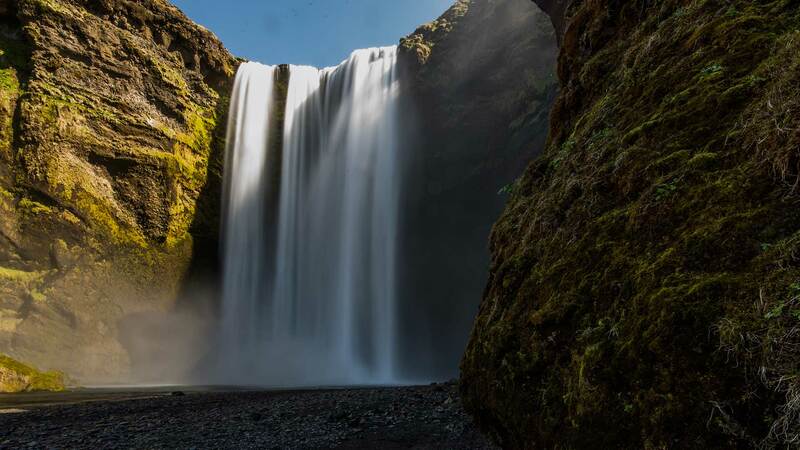 After some time enjoying Seljalandsfoss, your guide will drive you to the gorgeous 60-metre high Skógafoss waterfall just a short drive down the road, before reaching the black sand beach of Reynisfjara. You will continue to Kirkjubæjarklaustur where you will dine at the hotel. Average Driving Distance: 366 km / 227 mi. Get to see some actual ice in Iceland! Today’s drive takes us to some of Iceland’s most photogenic attractions, including a visit to the beautiful Skaftafell area of Vatnajökull National Park, named for Iceland’s largest glacier. 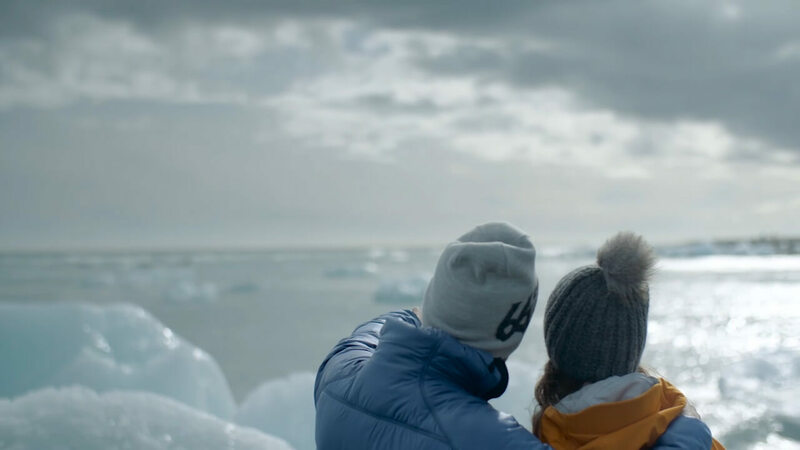 Here you‘ll have some time to explore the area before the tour heads to Jökulsárlón glacier lagoon, where we will sail among the floating icebergs on a guided amphibian boat tour. Adjacent to the glacier lagoon, we will visit the Diamond Beach, where you will see chunks of sparkling ice dotting the shore like diamonds. The tour will make the way to your accommodation, and in the evening you will enjoy dinner at the hotel. Spend the night at Glacier World - Hoffell or similar. Average Driving Distance: 191 km / 119 mi. The lovely east awaits! Today, we will drive along the east which is characterised by spectacular fjords, tranquil fishing villages and sweeping landscapes. This is an especially scenic stretch of Iceland. 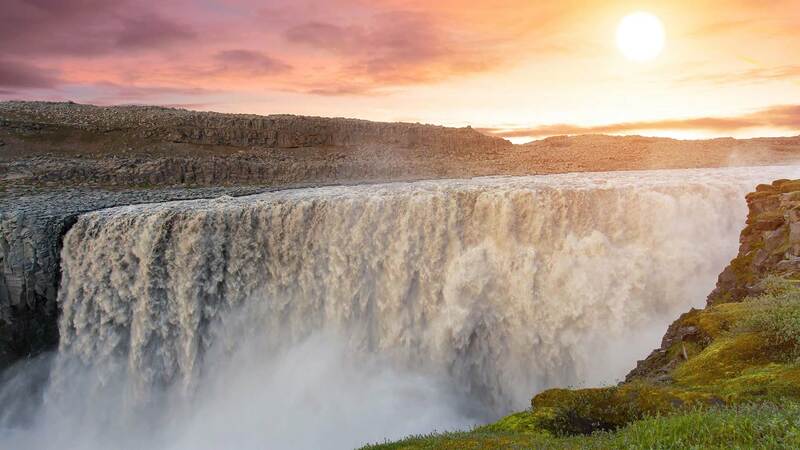 After reaching North Iceland, prepare to be amazed by the roaring Dettifoss, Europe’s most powerful waterfall. There is a 1 km walk from the parking lot to the waterfall on a gravel road, definietly worth the trip. The tour makes its way to the moon-like landscape of Lake Mývatn, where you will be spending the night. Dinner is on your own this evening either at the hotel restaurant or an eatery in town. Spend the night at Hótel Laxá or similar. Average Driving Distance: 443 km / 276 mi. Today we will explore the volcanic landscape of Lake Mývatn where we will spend the first half of the day visiting sights such as Dimmuborgir, a magnificent lava landscape with extraordinary formations, columns, caves. Námaskarð is another sight you will visit. The area draws many visitors to its Martian-like terrain. 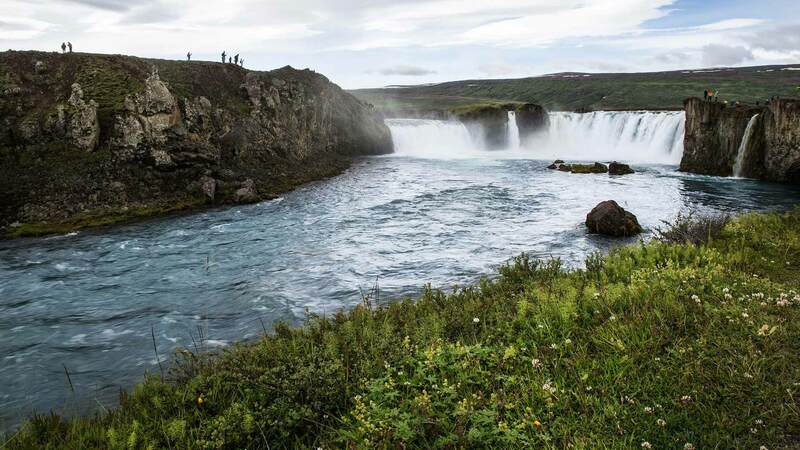 On the way to Skagafjörður, we will visit the mighty Goðafoss, “The Waterfall of the Gods”, before making our way to the charming town of Akureyri, where we will take a stroll through the town centre that is always full of life during the summer months. Then we will head for our next destination in the tranquil farmlands of Skagafjörður, where you will enjoy a farewell dinner with the group. Spend the night at Hofsstaðir Guesthouse or similar. Today we head back to Reykjavik. 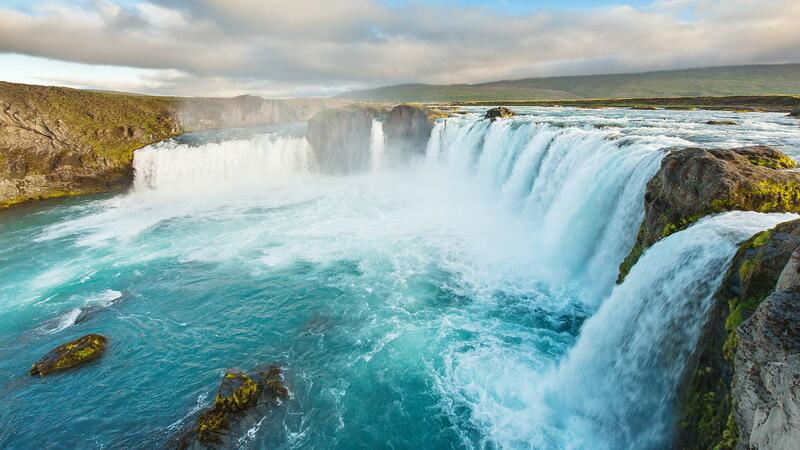 Notable sights along the way include the Grábrók volcanic crater, Deildartunguhver—the largest hot spring in Europe—and the beautiful twin waterfalls of Hraunfossar and Barnafoss. We end the day by closing the circle around Iceland and heading back to Reykjavík, where you will have the afternoon at your leisure. Average Driving Distance: 264 km / 164 mi. 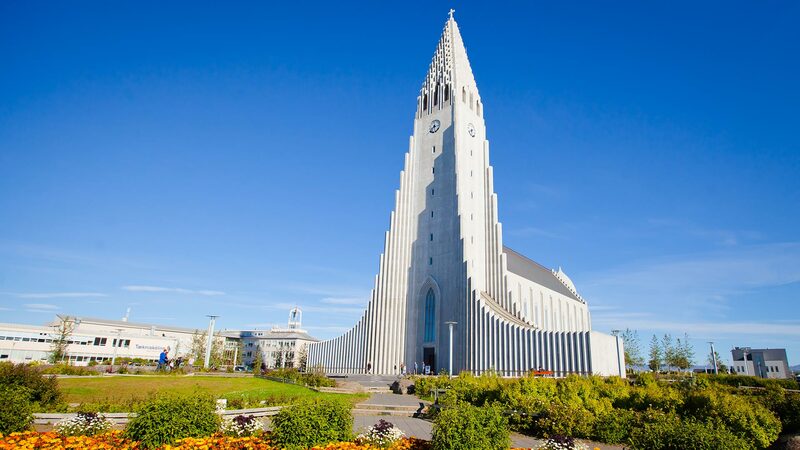 As your getaway to Iceland comes to an end, you will depart to Keflavik International Airport via a semi-private transfer, shared with fellow Nordic Visitor travellers. If your flight is in the afternoon, you will have time to visit some of Reykjavik´s boutiques or museums. We recommend that all of our travellers read through the following information about what the tour includes, what to pack for your holiday and useful information about the activities included on the tour. Please note that this tour is not recommended for families with young children. Our team of local travel experts at Nordic Visitor have put together a list of wonderful hotels for your stay in Iceland. The hotels that we use are based on our top favourites in Reykjavik and in the countryside, with an emphasis on quality, excellent ratings and comfort. To view the detailed list of hotels available for this tour, please view the accommodation section for this tour. Note: Triple rooms are not available for this tour, only single and double rooms. Please contact us for booking assistance if your group contains three or more people. A daily breakfast buffet is included at your booked hotels for the duration of your stay. You will also enjoy three included dinners during your travel around the country. They will include either a 2-course dinner or a dinner buffet with a good variety of local fresh ingredients. You can choose meat, fish or vegetarian dishes by notifying your travel consultant in advance of any dietary restrictions. Other meals are not included, but the guide will make sure to stop along the way for you to pick up snacks, drinks and lunch. Drinks are also not included during the trip. You will find a great selection of restaurants in Reykjavik during your stay for the first and last night in the city. The average cost of meals depends on the type of restaurant, but for lunch we’d say that the average cost is from 2500 ISK to 3500 ISK per person. The average cost of dinner can range from 3000 ISK up to 6500 ISK per person for the main entree. Three course dinners at restaurants are priced around 7000 ISK to 11000 ISK per person.